The Berlin Beat team goes where the big money is in modern-day crime, chasing the forgers, tricksters, hackers, murderers and swindlers who live by outwitting their victims. Top cop Julia Klug and her former boss Johannes Sonntag have to con the con men and hunt the hunters to get them behind bars - sometimes with a little help from her whole family. English subtitled (2 episodes). It sometimes seems like everybody's conning everybody in the capital Berlin: Doctors are fixing organ donor lists, real estate developers are making a big buck, forgers are minting coins, and international gangs sell imitation baby carriages in the hip quarter of town. In the center of the city lies Precinct 7, where impulsive elite cop Julia is surprisingly made supervisor, and now has to work side by side with her former boss Johannes, a by-the-book brainiac who treats the rules as the bible. 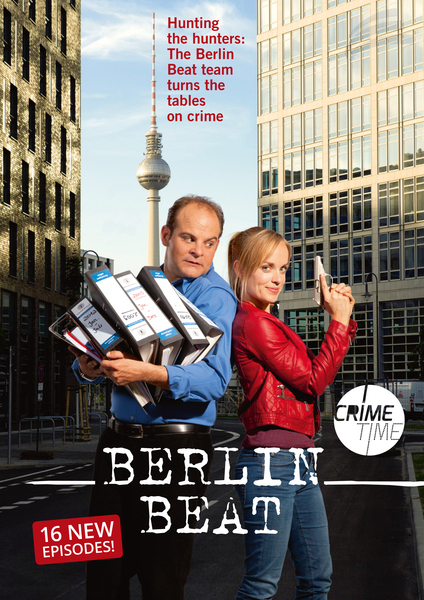 Julia relies on her gut, Johannes on hard facts and footwork - the perfect team, really. Julia's whole family works at the precinct: Her mom, dad and brother, all experienced cops, who suddenly have their daughter and sister as their boss.